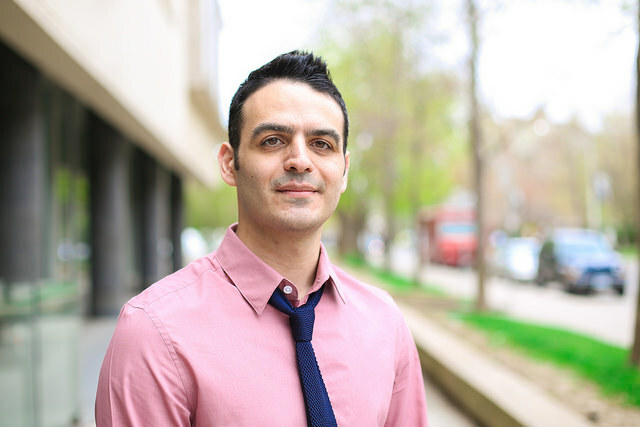 ECE PhD candidate Mario Badr was one of just four recipients from more than 6,000 teaching assistants across the University of Toronto (Photo: Roberta Baker). 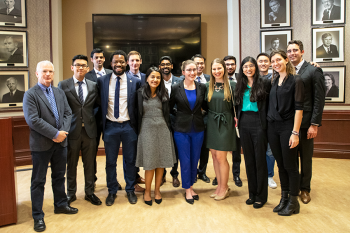 Mario Badr (ElecE 1T1, MASc 1T4) has won a 2015 TA Teaching Excellence Award from the University of Toronto’s Teaching Assistant Training Program (TATP). 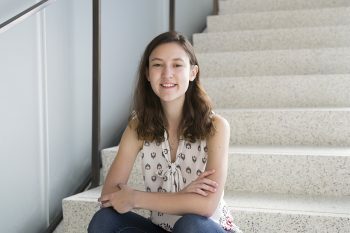 Badr, a PhD candidate in The Edward S. Rogers Sr. Department of Electrical & Computer Engineering, is one of just four recipients from more than 6,000 teaching assistants across the entire University. He has taught Engineering Strategies and Practice I & II, Computer Fundamentals, Computer Organization and Computer Architecture. Badr began seeking out teaching opportunities while working on his master’s with supervisor Professor Natalie Enright Jerger (ECE), teaching every semester and adding summer courses. He completed his Teaching Fundamentals Certificate under the TATP, and particularly enjoyed the courses on pedagogy and teaching technique. He was nominated for the award by Professor Jason Bazylak (MIE) after receiving exceptionally glowing teaching evaluations from students in his first-year Engineering Strategies and Practice course. 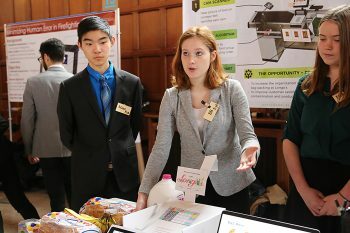 Badr says he draws inspiration from the teaching styles of several U of T Engineering professors, including Bazylak, Enright Jerger, Peter Weiss and Jonathan Rose (ECE). The TATP Teaching Excellence Award was created in 2003 to recognize the outstanding contributions of teaching assistants at the University of Toronto. The award seeks to value the work of TAs who regularly inspire and challenge undergraduate students. The awards committee considers the TA’s knowledge of his or her subject area, communication skills, organizational skills, demonstrated enthusiasm, and ability to provide students with effective feedback, as well as testimonials from both students and faculty supervisors. Badr’s only disappointment? That he won’t get to teach an extra course this summer, as he’ll be completing an internship with Qualcomm in San Jose, California.